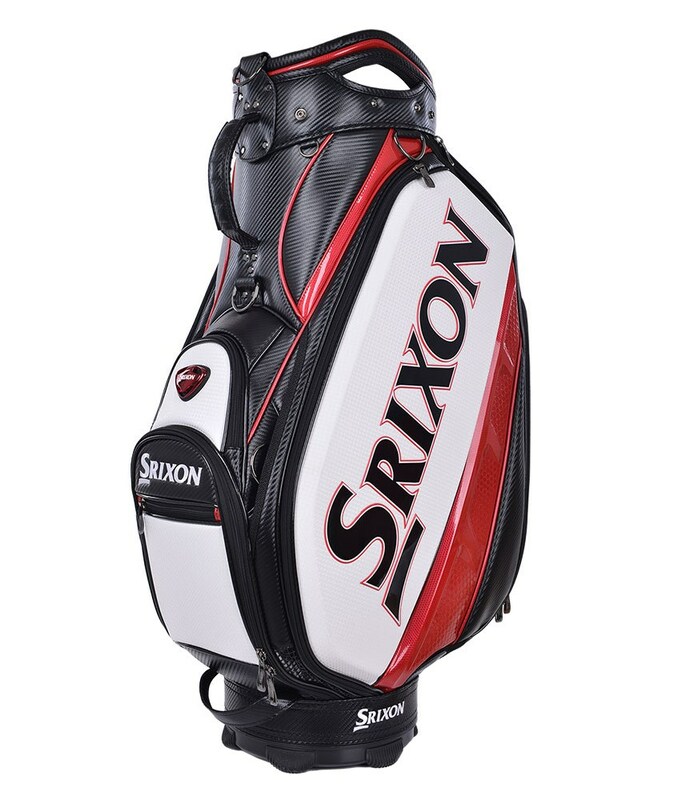 The Srixon 9.5” Tour Staff Bag is an exact replica of the Tour Staff Bag that will be used by Srixon staff players through 2019. 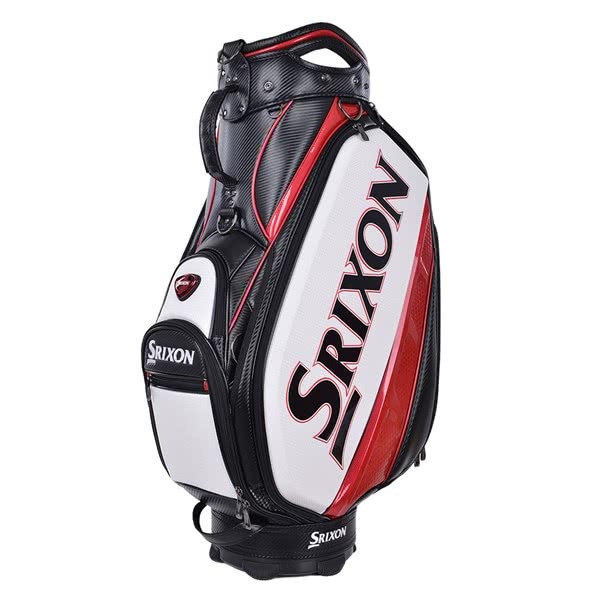 A traditional 9.5”, 5-way top has been used with integrated grab handles to provide excellent club management as well as easy lifting and loading. 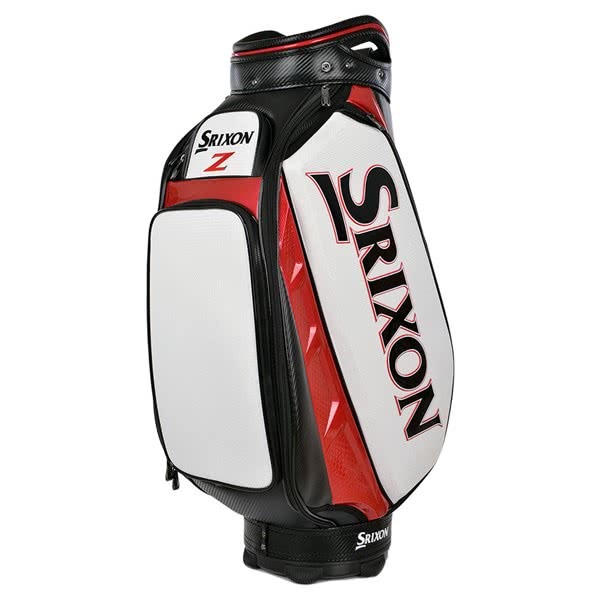 Srixon have used a total of seven spacious pockets that include waterproof zippered valuables pocket, insulated cooler pockets and a large apparel belly pocket and multiple accessory pockets. An ergonomic rubber base design provides extra stand alone stability as well as a secure fit on a trolley or buggy. 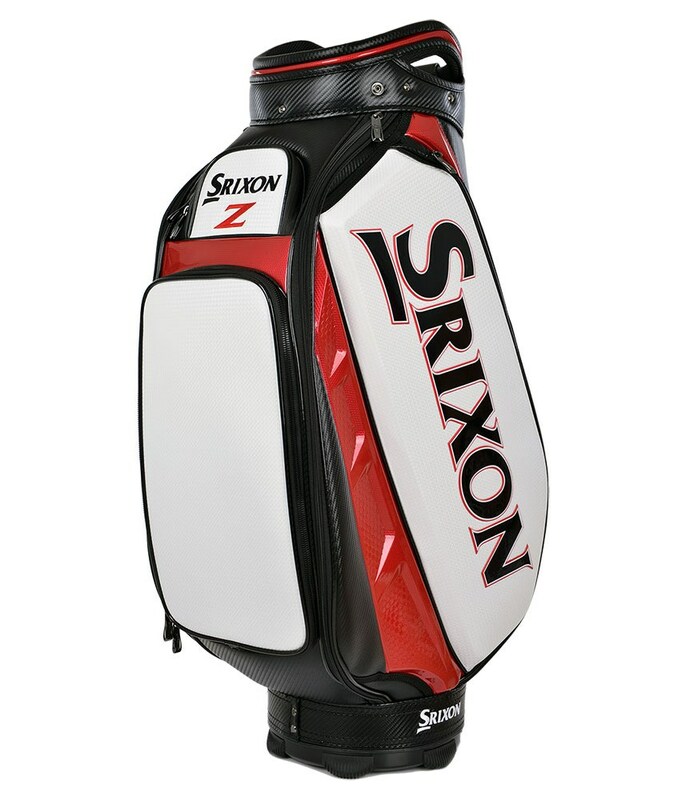 Other features include an integrated umbrella sleeve, a single padded and adjustable strap and a detachable belly pocket for customisation.